A source privy to the burial preparations for the late strongman Ferdinand Marcos said on Sunday, November 20, that they left a “replica” of his body in his mausoleum in Ilocos Norte on the day he was interred at the Libingan ng mga Bayani. 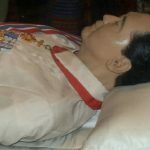 This comes after Marcos loyalists said they “felt cheated” when they saw a body of the former president still displayed at the Ferdinand E. Marcos Presidential Center in Batac, Ilocos Norte on the day of the burial. “Friday early morning, the body was switched. So ‘yung katawan na nandun na nakita ng media was actually a decoy. It was a replica. So the reason why they opened the mausoleum at 11 am is to show na it’s normal, andun ba ‘yung katawan ang everything. Alam ko there’s 2 or 3 replicas nung katawan,” said the source who requested anonymity. The source maintained that the Marcoses buried the former president’s actual preserved body at the Libingan ng mga Bayani. Some netizens had pointed out that the coffin pictured during the interment was too small for a body. 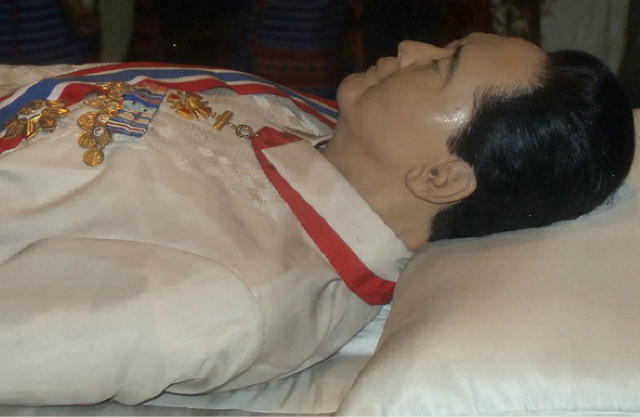 According to the source, a top view of Marcos’ wooden coffin would show that the dimensions fit the former president’s body shape. “I’m actually tempted to say that if the coffin is filled with chocolates and candies, people would believe me. But I bet on my life that it’s really the actual body [that was buried],” added the source.